New Day Care is a care provider covering the North West of England. We have a helpful and dedicated in-house team with a wealth of knowledge and experience in the health care sector. Our team will support and guide you, with a step by step approach, to ensure you receive the benefits of the correct care package for you. 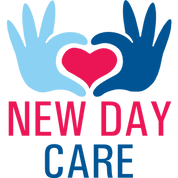 New Day Care provides compassionate, professional and dedicated care, ensuring that all your care needs are met. Our passion and dedication towards those in need shaped the foundations of our business. All applicants are subject to a highly comprehensive recruitment process which includes obtaining satifactory references and an enhanced disclosure prior to their employment starting. All staff must then undergo a full induction program covering all necessary areas (specialising in dementia training). Ongoing training updates and support are also given to all staff ensuring that you only recieve the best quality care from us. As a company, we understand that it is important to our customers that they continue to live comfortably in their own homes for as long as physically possible. We also understand that living with an illness, disability or simply growing old can result in the need for further help around the home. With the vast range of different services we can provide, with your imput we can create a bespoke person centred Support Plan which is tailored to your every need, no matter how big or it may be. Our person centred, individualised approach to care ensures that you receive the best possible care from people you trust. Danielle is our Homecare Manager and has a vast knowledge of homecare. Lyn is our Registered Manager. I was very happy with the quick and efficient manner my friend's care package was set up in. It was nice for him to be involved every step of the way and given a choice in what he wanted. My wife is delighted with her carers and the excellent job they do, they bring a smile to her face daily. It's lovely to see the same friendly faces day in day out, rather than different faces.